The catkins on the corkscrew hazel have been rapidly growing longer and are now just about fully open - if open is the right word to use here when they drop and go fluffy. Last year catkin open day for the same tree fell on 13th March when I noticed them. They may have been open for a couple of days beforehand - I was away for a few days if I recall correctly. The picture today (9th March) may be a little less open than when I first saw them last year. 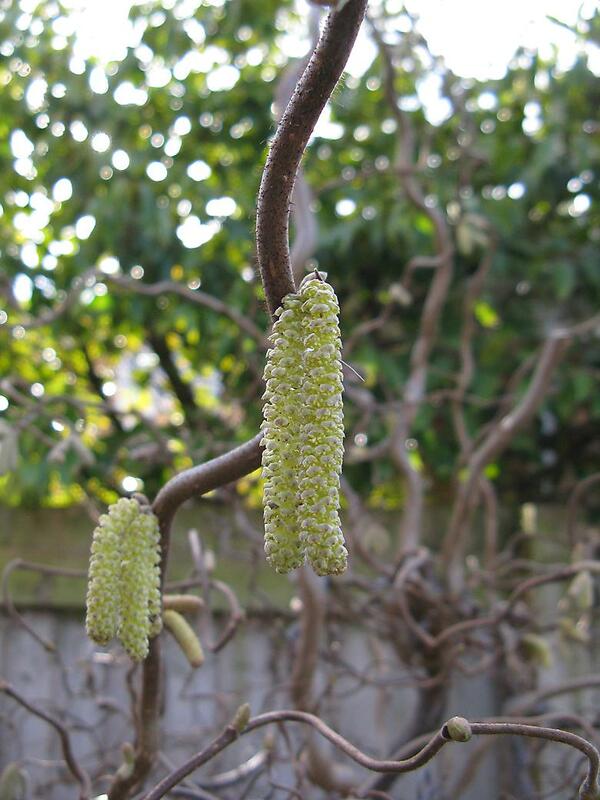 So catkin opening is pretty much the same time as last year, perhaps a day or so earlier.